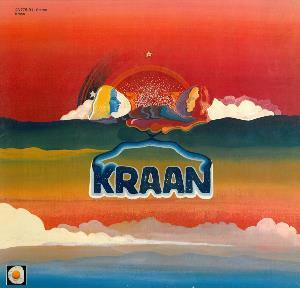 Kraan's debut album features a style of psychedelic jams reminiscent of Amon Duul II's early work with less frenetic vocals, a more studied and deliberate tone, and substantially more influence from jazz, hard rock and blues rock, with a sprinkling of world music influences to round out the sound (particularly on the likes of Kraan Arabia and Head). The end result is an album which will please fans of a wide range of different 1970s prog undercurrents, as well as one which may have broader appeal to fans of the rock scene of the era. Peter Wolbrandt's vocals add little and the album would have probably worked better as an all-instrumental affair, but aside from that it's a solid prog release.